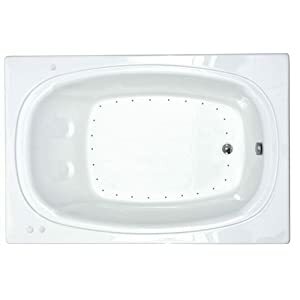 Atlantis Whirlpools 3263vy Valley Oval Soaking Bathtub 32 X 63 Ctr Drain Wh Inside Black Outside | Steam Shower - Bathroom Showers- Infrared Sauna - from SteamShowerDealer.com | SteamShowerDealer is your #1 source to buy designer and comfortable steam showers, steam spas and Infrared Saunas and accessories at discounted prices. 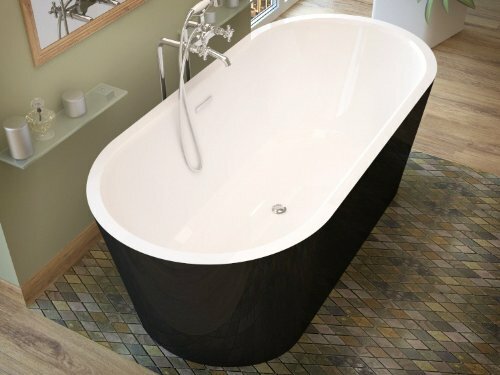 Atlantis Whirlpools 3263VY Valley Oval Soaking Bath 32 x 63 CTR Drain WH Within Black OutsideValley This beautiful one piece freestanding bath, will bring in combination any tub atmosphere as the middle piA ce de rA(c)sistance. Minimal aesthetic design and seamless two tone colours create a grasp piece of fashion and capability.An oasis all of sudden seems before you. The aroma of tropical citrus fills the air as you walk slowly against a pool of pristine water. You hear the therapeutic sound of water flowing into the pool at your ft. 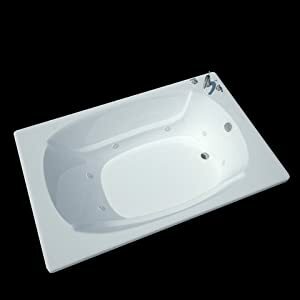 Upon coming into, you are feeling the soothing water lightly massage your frame. 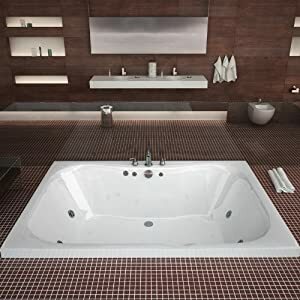 Even as you bathe, slowly the enjoy overwhelms your senses as you go with the flow away.